When she accepted a job with the Mississippi Bureau of Investigation Darla thought that would be the last she ever saw of Tommy Reylander. But when a car bomb takes out Reylander’s pink cadillac with him inside, she finds herself back in Jackson, looking for his killer and hopefully bringing him to justice. As she investigates she discovers other Elvis impersonators have met untimely ends and she is forced to consider that they may have a serial killer on their hands. These aren’t chiseled in stone but I have a few rules I tend to follow when I pick up a book. I don’t often read male authors. I don’t like it when authors write about cultures other than their own. 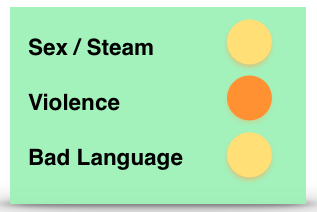 I avoid true crime, thrillers and other books with strong violence. Well, Gary Gusick has well and truly sent that list down in flames. I love this book. 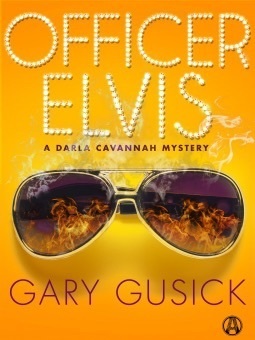 Darla Cavannah joins my favorite heroines and Gary Gusick joins my favorite authors. He writes books that are occasionally gutsy. His first book was about a woman’s health clinic in Mississippi that provided abortions. His third book which I will review next week is about the lynching of a young African American woman. So he’s an author who bravely goes places that are guaranteed to get half of any audience he has storming out in anger. But setting all that aside his books are in the end well crafted and entertaining crime fiction and I’m completely addicted. This entry was posted in Uncategorized and tagged crime fiction, gary gusick, mystery, officer elvis, the last clinic, the legacy by setaian. Bookmark the permalink.